latest, luxurious vapor from Vapetasia. Vapetasia has done it again with their newest E juice, Pineapple Express is a luxurious, gourmet e-Liquid! 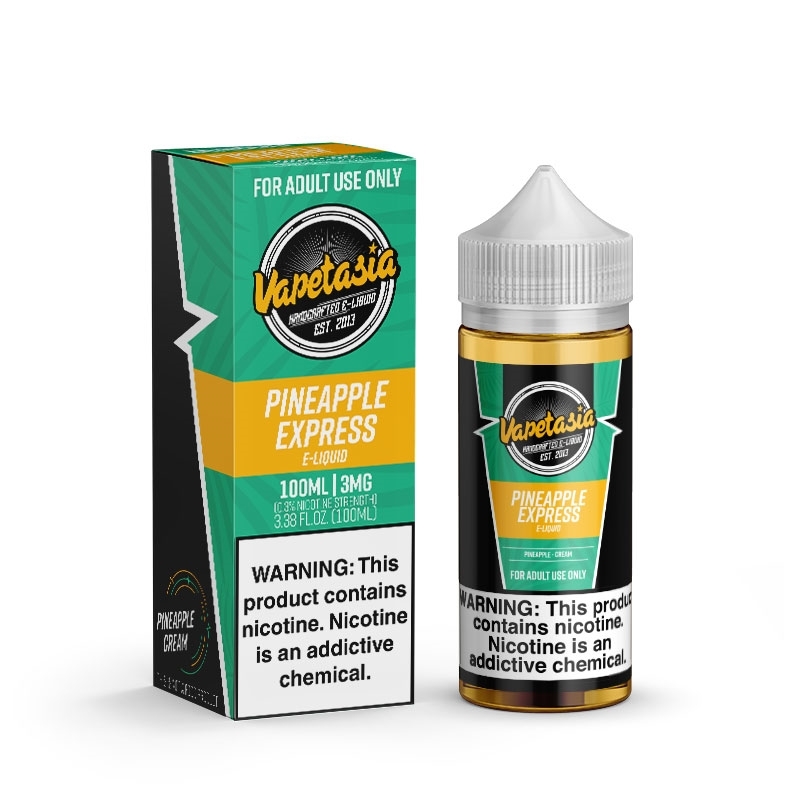 Pineapple Express is an incredible tropical blend with the taste of a big, ripe, juicy pineapple coming through with Vapetasia's trademark creamy smoothness. Get on board with the latest, luxurious vapor from Vapetasia. This juice has been one of my favorites for a long time, a pineapple start with a fruity after taste. Kind of reminds me of the old Astro Pops i used to get as a kid. As Always Ejuice Connect had it at a great price and easy fast shipping.